Meatless Mondays might see many pasta dishes over the course of the year. Reach for this out-of-the-ordinary mushroom ragu recipe when you want a hearty and rich sauce to top your pasta. 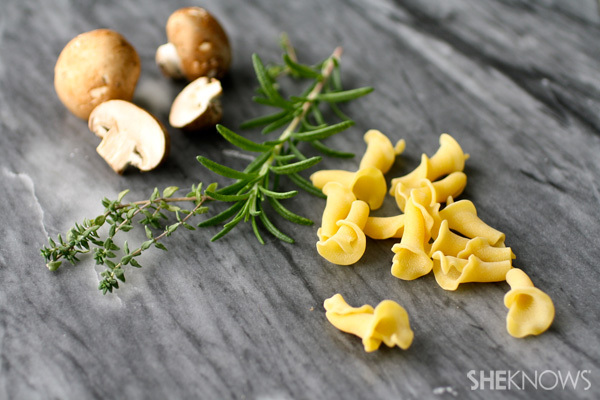 Mushrooms take on a meatiness in certain dishes, and that makes them perfect in this Meatless Monday recipe for pasta with mushroom ragu. You won’t miss the meat in this hearty and rich sauce to spread over your favorite pasta. In fact, you might make this your new go-to pasta sauce. This ragu is a little different from traditional pasta sauces. 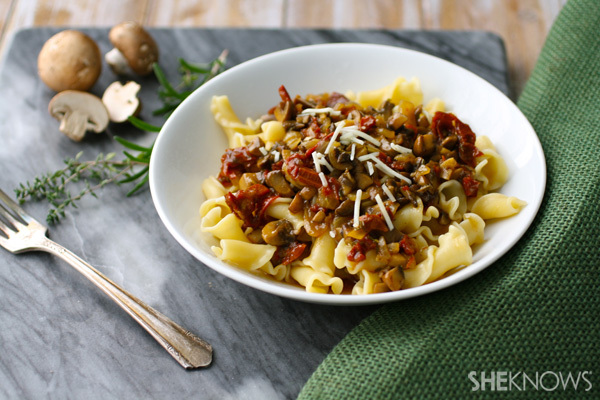 Tomatoes take a backseat as the mushrooms make up the main ingredient in this sauce. The secondary flavors you’ll find come from the tomato paste and sun-dried tomatoes added to the mix, and the herbs and wine round things out for added richness. Place a large pan or Dutch oven over medium heat. When hot add the oil and butter. When the butter has melted, add the onion, salt and black pepper, and cook for 5-6 minutes without browning it. Add the garlic, and cook for an additional minute or so, taking care not to brown the garlic. Add the mushrooms to the pan along with the thyme and rosemary. Increase the heat to medium-high and cook for about 5 minutes. Add the tomato paste and red pepper flakes. Stir it into the mushrooms. Add the sun-dried tomatoes and the wine. Cook, stirring once or twice, for several minutes until the wine begins to evaporate. Add the vegetable broth and bring the mixture to a boil. Reduce the heat to simmer, cover the pan and cook for 12-15 minutes. Remove the lid and cook the mixture for an additional 10 minutes or so. At this point you should cook your pasta. After cooking for the last 10 minutes, the liquid from the mushrooms should be reduced and thickened slightly. If you feel you need to add more liquid, add some water, 1/4 cup at a time, and continue to cook until you reach your desired consistency. You may need to adjust the seasonings based on any added water. Serve the ragu hot over the cooked pasta. 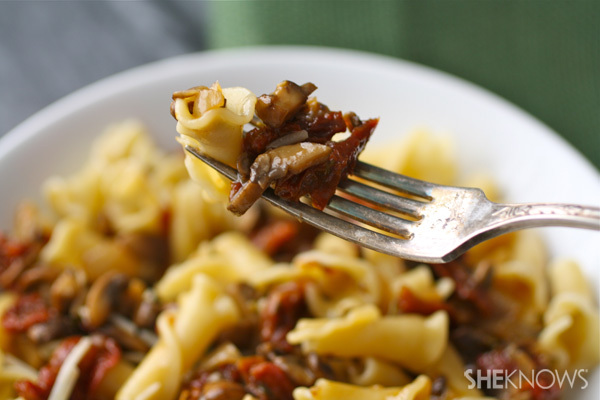 Reach for this mushroom ragu recipe!